A huge debate was sparked between Indonesia and Malaysia when the national costume for Miss Grand Malaysia was revealed to be Kuda Warisan (a.k.a. 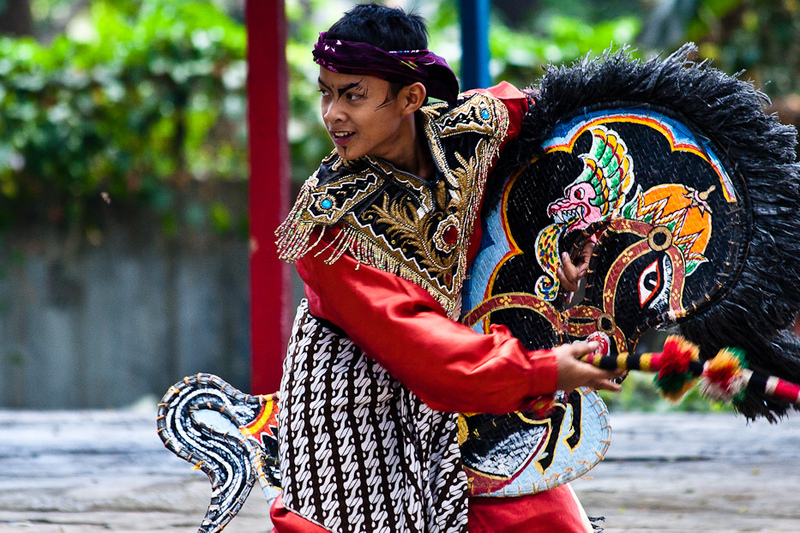 Kuda Kepang), which is also known as the Kuda Lumping by the Javanese community. The reveal of the costume has somehow angered many Indonesians who claimed that the traditional culture belongs to them, and that it shouldn’t be used to represent Malaysian culture in a national competition. The costume which was designed by Hana Yaakob had beaten more than 50 entries and will be worn by Miss Grand Malaysia 2017, Sanjeda John, at the annual Miss Grand International pageant to be held in Vietnam from 5 to 25 October 2017. “We took this bold step to portray our country’s unique and diverse culture and heritage due to its historical landscape. It is all about celebrating diversity and educating resemblance due to the unique history we share especially in this region,” said Jude Benjamin Lisa, National Director, Miss Grand Malaysia Organization. When the costume decision was made official, many Indonesians expressed their dissatisfaction on the social media accounts of Miss Grand Malaysia and Sanjeda John. While the beauty pageant body acknowledged that the costume is indeed inspired by the Javanese community residing in the northern state of Johor, Malaysia, the Indonesians are not convinced as to why their culture was chosen to represent another country. “Even though the Indonesians migrated to Malaysia, it doesn't mean that their culture has also moved into the country. You can learn our culture, but you shouldn't claim it as your own,” said a user. Some questioned why the Chinese or Indian culture is not chosen to represent Malaysia since the two races are also part of the nation’s majority, while the Javanese community is only a small percentage of it. There are also Malaysians who defended the costume by saying that the culture is shared by the places within the Nusantara (archipelago) which include Jakarta, Sabah, Sarawak, Brunei and East Timor, thus it only make sense that Sabahan beauty queen Sanjeda be a part of it. The kerfuffle still seems to go on endlessly, but this isn’t the first time that the two nations have argued over cultural belongings. 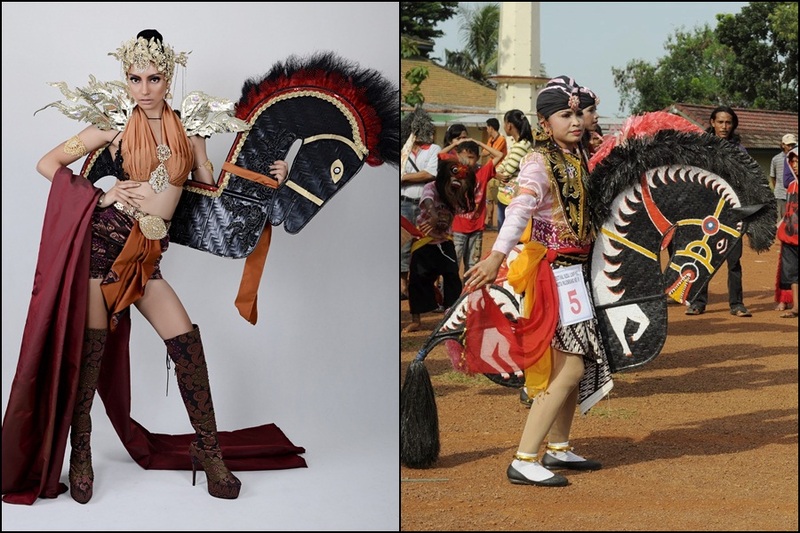 The Kuda Warisan national costume will be up against 80 other national costumes from all over the world vying for the Best in National Costume which includes an Award and USD1,000 cash from the Miss Grand International Organization. The grand finale of Miss Grand International 2017 will be held on 25 October at Vinpearl Resort in Phu Quoc Island, Vietnam, where the winner will be walking away with USD40,000 and reside in Bangkok, Thailand during her reign to further promote “Stop the War and Violence‟ campaign with the Miss Grand International Organization.